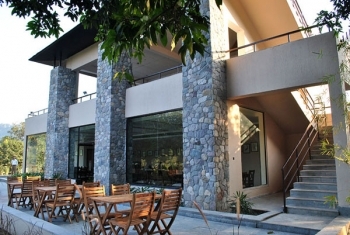 Wild Exotica Resort in Corbett is a Luxury jungle resort adjoining the famous Corbett National Park. With its natural beauty, serenity and proximity to the National Park and the Reserve Forest, the resort provides a unique opportunity to enjoy wild life within natural habitat. 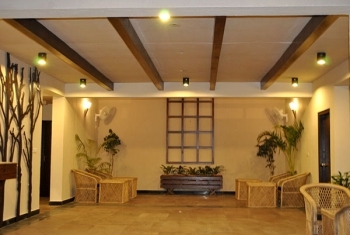 The resorts offers Fully Air Conditioned luxury rooms with all modern amenities, Centrally Air Conditioned Conference Hall, A/C River view Restaurant with open dining area, Tusker Bar Lounge, Swimming pool with separate pool for kids and Party Lawns, TT Table, Pool table. The resort is an ideal place for Conference, Meetings and others Social Events, well experienced and professionally qualified instructors for conducting various activities and unmatchable safety record, exciting adventure products, special opportunities for sightseeing, special gala dinner, bonfire and much more makes it a place for all seasons and for every reason. You may also join in the early morning Nature walk sessions along with the Kosi river, with the help resort Naturalist, when the silence of the wild is broken only by the sweet voice of birds. Wild Exotica Resorts professional staff is committed to providing the same level of comfort and service to its guests in the future. The resort is situated on the banks of Kosi River. Famous center of faith and devotion for locales, Garjia Temple is at 2 Kms from resort. Wild Exotica Resort offers 28 Fully Air Conditioned luxury rooms with all modern ammenities, Centrally Air Conditioned Conference Hall, A/C Riverview Restaurant with open dining area, Tusker Bar Lounge, King size swimming pool with separate pool for kids and Party Lawns. The twin highlights of the resort are the swimming pool located by the riverside perfect places to rejuvenate mind, body and soul. There are 2 Deluxe Rooms, 8 Suite Rooms, 8 Garden Facing Rooms and 10 Superior Rooms. Wild Exotica resort have a Multi Cuisine river view restaurant with Deck Bar. - Special offers and Tariff are not valid during Christmas and New Year Period (23rd December to 2nd January ), Holi and any other extended weekend. - Children above 12 years costs 35% on the package cost. - Tariff are not Valid to festive days, X-Mas, New year, weekends & other long weekends. - 16 Days to 30 Days prior to Arrival - 50% of the total package cost. - 30 Days & More- No Deductions would be levied. Dhikuli is 300 km from Delhi, 403 km from Lucknow and 51 km from Ramnagar. The route from Delhi spans Hapur-Murababad-Ramnagar. Phoolbagh, Pantnagar at a distance of 50 km is the nearest airport. Delhi at a distance of 300 km is the nearest international airport. By Train: Ramangar is the nearest railway station from Wild Exotica in Corbett National park.